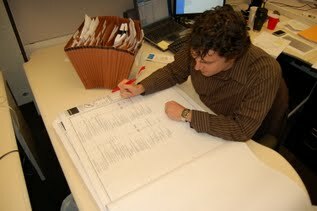 Plan & Cost Assessment - JPS & Associates, Inc.
JPS & Associates, Inc. The vision to perceive. The competence to complete. JPS & Associates has become the firm to turn to when buyers and lenders are looking to purchase, finance, process a planned project development or substantial renovation of an existing property. Why? Because as a chosen HUD Provider, JPS & Associates have become the standard in what to look for and what is needed in risk assessments and cost analysis in multi-family, senior living, and healthcare facilities. JPS will perform an analysis of the plans and specifications for the construction to determine if the project is designed in substantial conformance with generally accepted criteria, construction practices, and applicable building codes and regulations. JPS’ analysis will include a review of the civil, architectural, structural, mechanical, and electrical disciplines as may be reasonably necessary to access the intended design. Analysis of the ‘direct construction costs’ and verification that the anticipated loan funds allocated to the direct construction costs are adequate to construct the project within the projected time. Offer a complete construction cost breakdown for Plan and Cost Review and on-going analysis throughout the project. Review and evaluation of the subsurface geotechnical investigation report and the availability of all rezoned utilities. Review and evaluation of the evidence of proper zoning and applicable permits. Review and Evaluation of the contract for construction. When all of these reviews are complete, JPS & Associates will provide the client a final and comprehensive written report of its findings and can then work with you to find real-world solutions. We look forward to working with you. Please click here to submit a request for proposal.